Escape the wintry cold and join Team Prep USA in Tampa, Florida for Winter Distance Project. Canoeing, New Years Eve at Busch Gardens Amusement Park, and elite-level training for all experience levels to get you geared up for track season. Campers register for camp by submitting medical & waiver forms, and filling out the registration form below. Over the years Team Prep USA has developed a large following and makes it a priority to protect the campers and clients that are already involved. Cedarkirk Camp & Conferences Center, ~40 minutes outside of Tampa, Florida! 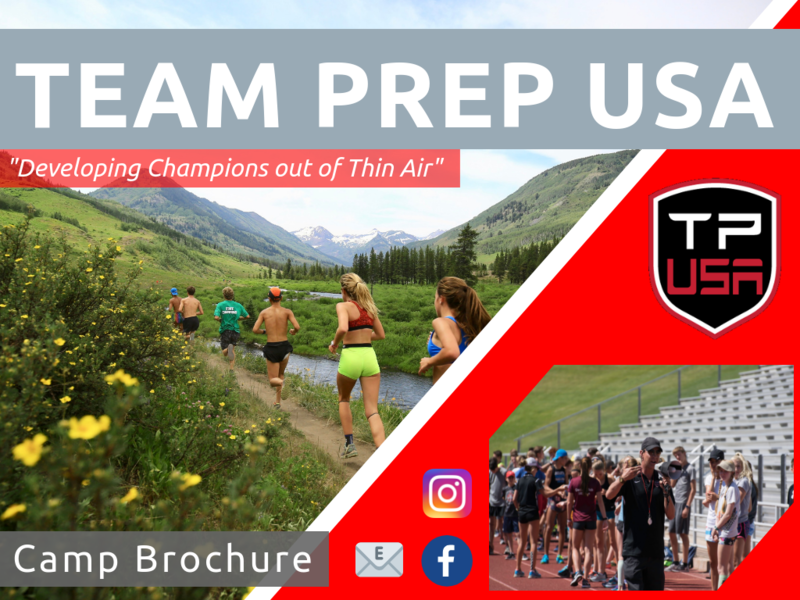 The Team Prep USA running camps are designed to get the most out of our student athletes by setting the stage for greatness. ​Athletes become part of something bigger as they build character through collective adversity and learn what it takes to be a champion. Any middle to long distance runner (roughly 400m events & up) seeking a breakout cross-country or track season. Is there a performance / time requirement? - No. We accept athletes of all abilities, ages 11 through high school senior. There will always be a group to run with! What needs to be to Team Prep USA by December 10? - Registration, full payment, medical clearance, travel itinerary. Log into your ACTIVE account to access your registration status. Are Letters of Recommendation Necessary for Winter Camp? - No, this is only a RMXC Summer camp requirement. Camp Acceptance - Once Team Prep USA has received camp deposit/full payment, a registration confirmation email will be sent. Please note: a camper can not participate in camp activities until all forms (Medical Clearance & Camp Release) have been turned in, even if payment has been received. Check-in / Check-out - Check-in/check-out is at 11am on 12/27 and 1/4. If you are flying into Tampa International Airport, please plan to arrive between 9a - 5p, and depart after 9a, to ensure that Cedarkirk Conference & Camp shuttles will be able to pick up the camper(s). Airport Shuttles - Shuttles can be purchased on your ACTIVE Registration Account Page ($25 each way). A Cedarkirk Conference & Camp employee will meet campers at Tampa Intl. Airport and will have a sign and be wearing Team Prep USA gear. When travel plans are finalized, please fill out the Travel Itinerary page in your ACTIVE account so we can ensure an efficient arrival. Are there laundry units available? - Yes, there are coin operated washers and dryers available. How much money should I send my camper with? All meals (breakfast, lunch, dinner) will be included, as well as water and Gatorade for the runs. The amount of money from that point is completely camper-dependent, based on what souvenirs they may stumble upon or snacks they purchase. We also have a Team Prep USA gear store with running accessories for purchase (shorts, shirts, recovery tools, hats, socks, etc.). Also be sure to bring quarters/dollars for the laundry machines! Very rough estimate: $75 cash; each place is credit-card accessible. Is there a recommended camp pack list? Is there a mailing address for Winter Camp?